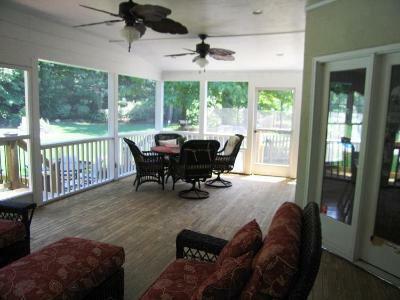 Can you guess the top 7 ways a Columbus screened porch improves your day? Your night? The best way to make great memories is to change things up. Make today different than the days before it. A screened porch is a wonderful place to spend quality time together or alone and do things that are a little out of the ordinary. 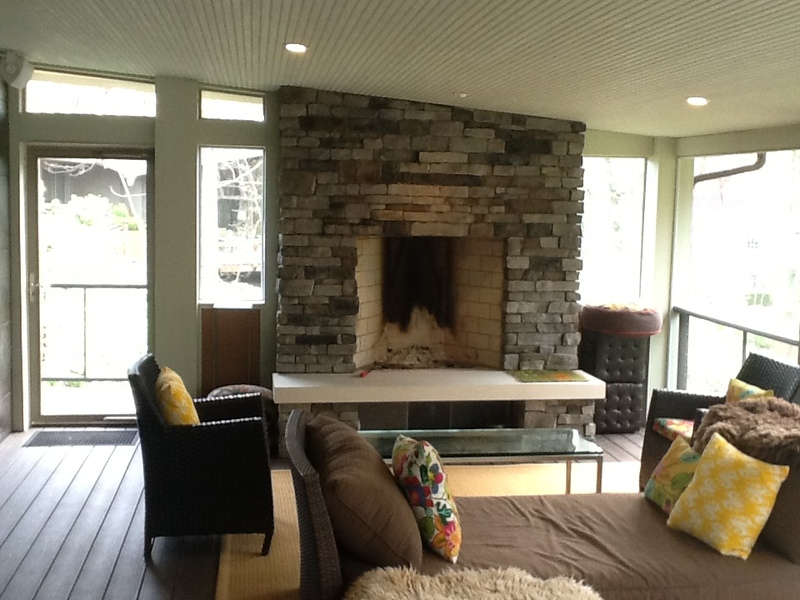 Here are 7 great ways our customers tell us they use their screened porch. Grab that inflatable mattress that you keep for unexpected guests and bring it out on the porch. You don’t need to plan or pack, just pick a beautiful night when the temperature is right. If sleeping outside isn’t your thing– let the kids have an adventure close to home. Whether your children are young or bringing friends home from college, the porch is a fabulous place to give them their space while keeping them close. There is something wonderfully primal about sitting outside and enjoying the rhythmic beat of a rainstorm. Let the wind, water, thunder, and lightening command your attention for a half hour. The rest of the world can wait. Maybe you are a wine aficionado and want to do a “taste and talk” with girlfriends. If cigars are a special indulgence, you might invite some buddies over to enjoy a box of special smokes and maybe play a few hands of poker. It’s easier to carve out your own time and space with friends when you are out of the mainstream hubub of the rest of the household. It could be anything from spaghetti to a chocolate fountain to popsicles. Bring the kids outside and don’t worry about what will spill on the floor. There is no easier floor to clean than composite decking that you can hose off or wipe off with a sponge. When you aren’t concerned about stains, you can embrace the mess of the moment and enjoy. Heck, pull out the camera and take some pictures while you are at it! Whether you live in a place where fox, deer, and rabbits and visit regularly or your garden is a carefully orchestrated mix of annuals and perennials, you will feel yourself calm and relax whenever you walk out onto your porch to commune with the natural world. Get in touch with the rhythms of your own habitat without worrying about feeding the mosquitoes. Some days there is a little too much togetherness and tempers begin to fray. A screened porch can be a wonderful place for a “time out.” Maybe a child sits out there for a bit to be removed from the “scene of the crime” or maybe mom and dad need to take a break. Either way, a porch provides a way to get away from each other, but still be close at hand. If you have to work at home, shouldn’t you do it in a space that you enjoy? If you have a laptop and a WiFi connection, there is no reason not to include a table and chair on your screened porch that will let you use the space as a home office alternative. You may find that your creativity increases as you take in the fresh air and greenery of living things instead of staring at the same old walls. If you love your pet, you can’t give them a better gift than a screened porch to enjoy when they can’t be outside. All cats love curling up in a sunbeam. Your dog will carefully monitor the squirrels out dancing in the yard. You’ll like knowing that they are enjoying themselves in a space that is safe, dry, and contained. Many of our customers say their screened porch is their favorite place to sit with their pets– over coffee and the paper or in the evenings with a good book. Next Next post: You’ll be really disappointed if you built a screened porch that just wasn’t big enough for your needs. Here are our top 7 things to consider first.